Throughout their career which spans from the early ‘70’s, Goblin have soundtracked around 20 films, with ‘Profondo Rosso’, ‘Suspiria’ (a film that became the benchmark in 70’s gore flicks) and ‘Dawn Of The Dead’ that really form the basis of their legendary reputation as they perfectly showcased their vast stylistic repertoire from the prog-flavoured rock they’re best known for, through tribal rhythms, electronics, orchestration which seamlessly fitted and added to the impact of the on-screen action. 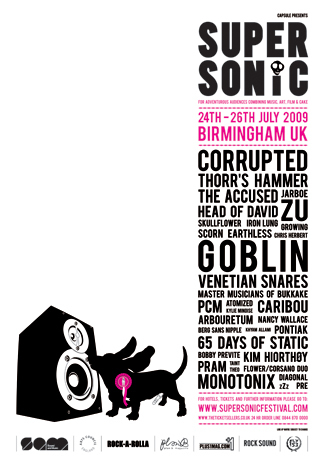 Recent years have seen a huge resurgence of interest in the band’s work, particularly amongst the alternative rock, goth and horror film communities, with very well received reissues of their classic soundtracks and DVDs of the films they worked on, plus the compilation cd ‘The Fantastic Voyage Of Goblin – The Sweet Sound Of Hell’. 2005 also saw the publication of the book “Goblin – La musica la paura il fenomeno”, written by Giovanni Aloisio, and there is even a band in the US made up of Goblin fanatics and calling themselves Zombi.